There are various economic uncertainties that affect our retirement plans, including market volatility, inflation, and personal life circumstances. Consequently, it is not easy to make accurate predictions on investment performance decades into the future. However, these uncertainties should not prevent successful retirement planning. Instead, we should adapt retirement planning in all stages of life. For those just starting out, retirement planning should be much easier. There is no pressure to evaluate whether you are on track to meet your retirement goals because you are just starting out. While assumptions can be made about future inflation, market returns and expenses in retirement, such estimations thirty years or more into the future are often of limited value. The general rule for young people who have started saving for retirement is to take advantage of the stock market or compound interest to maximize your returns. You have the advantage of time and products such as the Zimele Personal Pension Plan and the Zimele Guaranteed Pension Plan can help you with that. For those in their mid-forties, retirement planning takes on new dimensions. While it may still be difficult to reliably estimate retirement expenses many years into the future, mid-lifers now have more information to evaluate. For starters, we can now assess whether an individual is on track with their retirement savings. In addition, mid-lifers know more about their debt. They may be able to estimate if they will have paid off the mortgage, and other debts by retirement. They are likely to also have a better idea of the trajectory of their career and income. Mid-lifers also know how they handle finances and investing, both key factors in successful retirement planning. While this information may not fit nicely into a retirement calculator, it can significantly shape planning for your golden years. 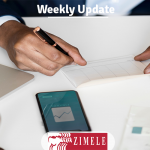 As you approach retirement, you should consider transferring your pension to a product that is not partly invested in listed shares but is wholly invested in stable, fixed income securities; the Zimele Guaranteed Pension Plan fit the bill. For those within ten years to retiring, planning should get far more detailed. Unlike retirement planning twenty to fifty years earlier, near-retirees should begin to focus on actual expenses in retirement, which are now more certain. Depending on circumstances, retirement expenses may be significantly less than what a near-retiree is earning. This is because, there is no need to save for retirement during retirement and in addition, many people may have paid off their mortgage and other debts by this time. Those nearing retirement should be armed with the information necessary to fine-tune exactly what they will need when they accept the golden watch and punch the clock for the last time. At this time, there is a clearer picture of the retirement savings and evaluating whether you may have fallen behind or have more than you will need. This will give a guideline to begin to make the necessary decisions in light of the accumulated retirement savings. Once you retire, the biggest concern is how do you get an income? That will usually come from your investment and pension. If you want to stretch your pension, you should consider the Income Drawdown Plan. In this plan, your pension is invested by professionals and you get a monthly income from the returns. The good thing is that at the end of the contract, the money you invested in the plan is still available to you. As emphasized earlier, retirement planning is not an exact science. However, we can use the information available to us in each stage of life and the advantage of the mandatory pension contributions to make reasonable assumptions and choices to better prepare us for our golden years.